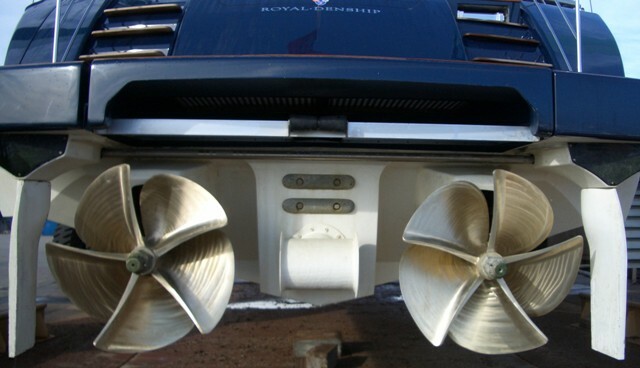 Q-SPD’s Custom Series has been specifically developed for integrating into fast motor yacht designs. 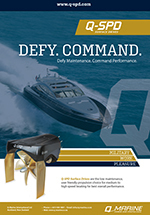 Q-SPD drives behave like conventional propulsion in all respects with the added advantage of superior handling and performance making them ideal for larger motor yachts and work boats alike. This offers the designer and builder a definite edge over their competition to out-perform and out-manoeuvre without compromise. The Q-SPD solution offers a no-nonsense, no-maintenance approach to high performance propulsion. There is no need for the operator to use complex trimming operations to optimise trim and load conditions. They will not overload the engines by using incorrect operating behavior. 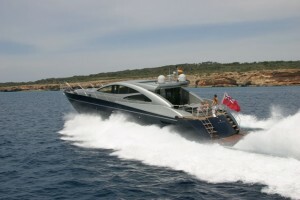 Therefore, the operator can concentrate on simply driving the boat and looking after their passengers and crew. “You drive the boat just like a conventional propeller driven boat and it will respond the same AND it will go faster, accelerate quicker, and manoeuvre easier”. 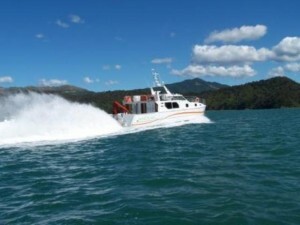 The propeller design and integration of the solution into the vessel design is the key. Q-SPD experts will work closely with designers to assist with effective integration of the drive system. * – Subject to application analysis.